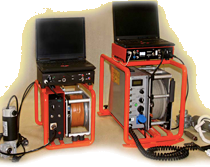 The HM-453E/HM-383E are designed for measurement in complex of ignerous or metamorphic rocks up to high magnetic rocks. The measuring range has been chosen so as to identify layers containing magnetite (0.005 – 100%). 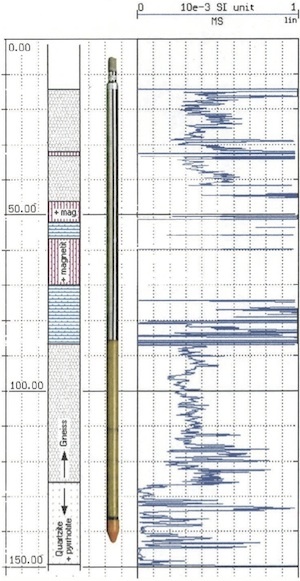 The main use of the probes lies in prospection for deposits of Fe minerals – magnetite, pyrrhotite and hematite. The data are to be used for quantitative interpretation of the magnetic components in the rocks and estimation of the thickness of layers. The data can directly be used for economic evaluation of the deposit.